In which Carrotmob incorporates as a non-profit and is finally able to develop a master plan. In February 2010, we had just successfully gotten One Block Off The Grid the rocket fuel it needed to thrive. However, there was no rocket fuel available for me and Carrotmob. I was completely exhausted, and coming off what was probably the most stressful few months of my life. I really needed a break and a deep breath. But we had paid ourselves zero salary during 2008 (just a $1000 holiday bonus), and $43k in 2009, so now that I was unemployed with very little savings, I didn’t have the financial freedom to take a break. I just kept working non-stop. 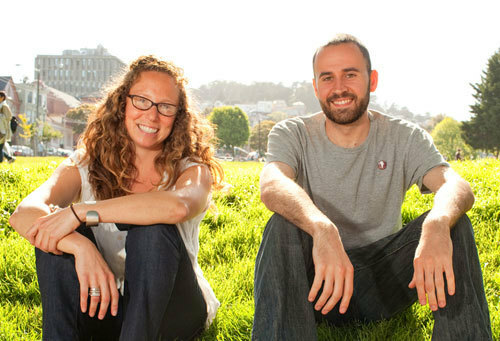 Right off the bat I recruited Sarah Zisa to join the team as Carrotmob’s Director of Community. 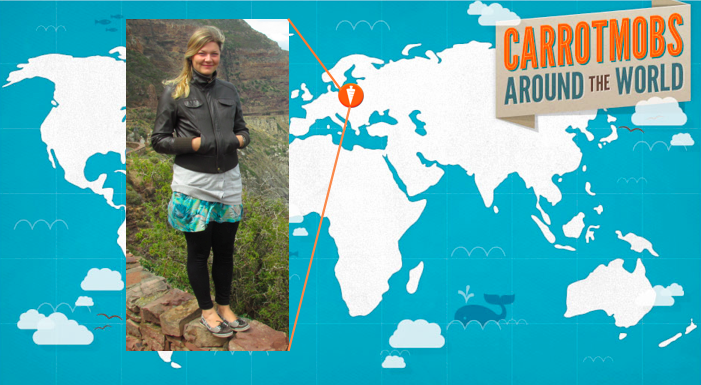 She helped me craft our plans and managed all the inquiries we would get from Carrotmob organizers around the world. 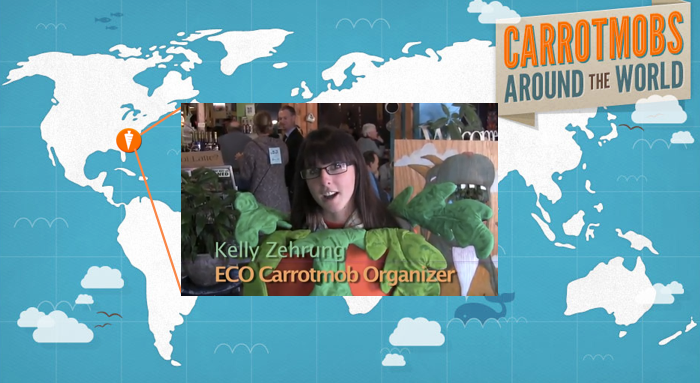 On April 22, 2010 (aka Earth Day #40) we incorporated Carrotmob as a non-profit. We switched from a for-profit model to a non-profit model mainly because we had no business plan, no revenue model, and we were in no position to raise money from investors, but we did have a great story about potential social impact which would allow us to raise money from donors relatively quickly. The good people at Cooley LLP were kind enough to join as our pro-bono law firm. My phenomenal friends John and Liz were kind enough to join our board. The good people at The Rose Foundation were kind of enough to become our fiscal sponsors so we would legally be allowed to receive tax-exempt donations. Organizers around the world kept creating campaigns which kept us inspired. And we had three major donors who each gave us critical financial support, starting in the summer of 2010: Jim Sandler, Michael Dearing, and Ezra Callahan. At last, in mid-2010, for the first time ever, I could finally focus on Carrotmob full-time. I always had a long list of things that we would “figure out later,” and that summer we started figuring them out. It was me, Sarah, and our summer intern Tim from Princeton. The generosity continued as Zach and the team at Exygy gave us a really generous deal which allowed us to make progress on figuring out the technology we wanted to build. By the end of the year we really didn’t have enough money to finish the job, so we weren’t quite able to launch the site that we wanted to launch, but it was OK because we had learned a whole lot in the process. As our plans came together, I did a lot of research on foundations, and started building relationships in the world of philanthropy and non-profit fundraising. That fall, I hit the streets to raise money. It was not a successful effort. Honestly, I think we were just too weird. We didn’t fit into any existing funding categories. For example, a foundation that gives money to environmental causes wouldn’t give us money because despite our environmental impact, our mission is much broader than environmental issues. We often couldn’t get meetings, and when we did, we got rejected. However, we continued to build a pretty amazing network. Despite not funding us, people definitely liked us, universally. We were a very cool, innovative example of social entrepreneurship. I was a finalist to be an Ashoka Fellow, but didn’t make the cut. I was a semi-finalist for the Echoing Green fellowship, but didn’t make the cut. I was a finalist for the SVN Innovation Awards, but didn’t make the cut. Part of the problem was definitely that we were weird, and our “impact” didn’t fit neatly into an existing bucket. But another big part of the problem was that although we had revenue models, that piece wasn’t very well fleshed out. So we honed our story, dove deep into the nitty gritty details, did research, developed plans, improved them, vetted them, and got specific. By the end of 2010, confidence was very high. We had a killer plan. We had a lot of interested big donors who were ready to take a fresh look at the plan. 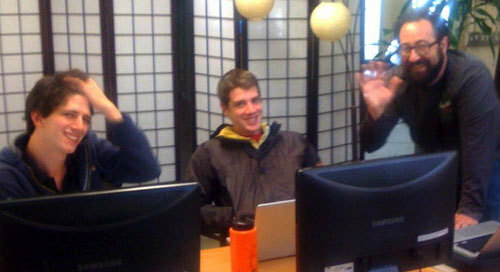 We built a special microsite and prepared a fundraising blitz for January 2011. The only thing that was troubling us was that we were running out of money. I had taken my savings account and my little Calvert money market account and drained them both to zero. Meanwhile, Sarah’s commitment to Carrotmob was equally unwavering. At one point, she had a medical issue, but we weren’t in a position to buy ourselves high-quality health insurance yet. She headed over to the Haight St Free Clinic where she got the medical care she needed, alongside all the other patients who were mostly homeless, or struggling with addiction. This is just one example of Sarah’s commitment to the Carrotmob movement. That Thanksgiving we put out a plea on Facebook and Twitter for donations. Thanks to the kindness of a wonderful band of supporters, we got just enough money to stay alive into the new year. And the new year? Well, now that we had proven ourselves, the new year was sure to be a prosperous time when we would finally be able to pay ourselves enough to live, hire a bigger team, and make the vision a reality!